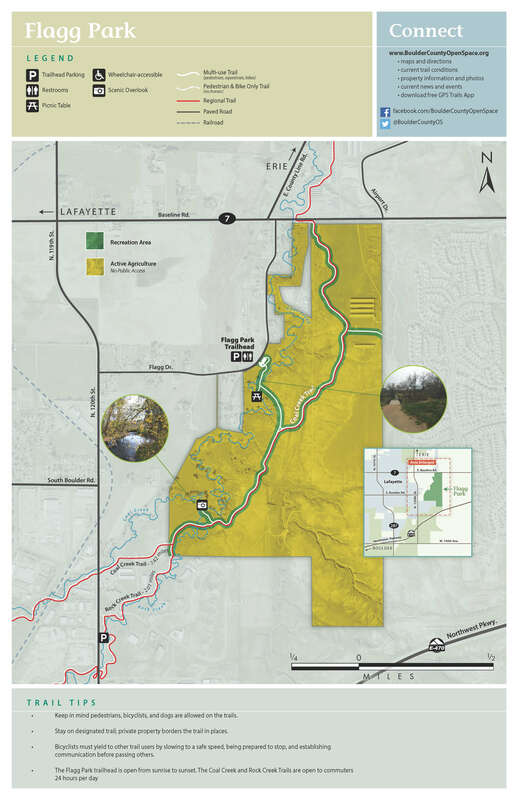 The Flagg Park trailhead in Lafayette provides access to the Coal Creek Trail and Rock Creek Trail and is part of the Two Creeks Open Space. 18 car spaces, an ADA parking space and two horse trailer spaces. 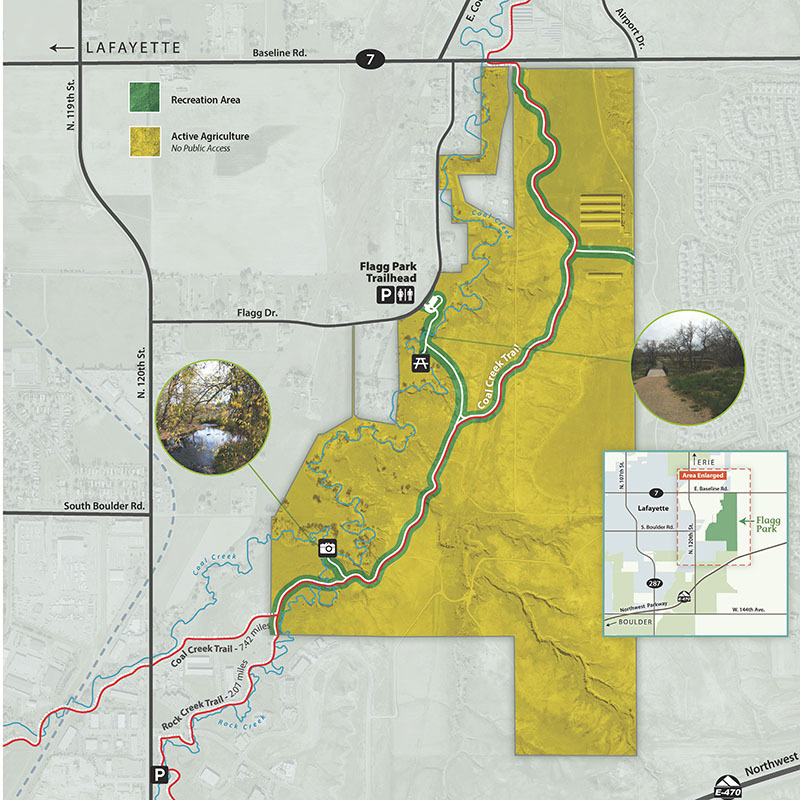 Equestrians are not allowed on a majority of the Coal Creek Trail due to city of Lafayette and Louisville regulations. Flagg Park connects with these trails.